He just arrived and I’m sure he has not left anyone indifferent. The first modern SUV of Sant’Agata Bolognese, the second in its history after LM002, is here. The Lamborghini Urus has unveiled itself in a multitudinous presentation where it has been worn in two different finishes. With an aesthetic characteristic of the bull brand, interior for four seats and a 4.0 V8 engine with double turbocharging of 650 horses, this model is positioned as a historical moment for the Lamborghini books. Willing to fight against the SUV, against sports and willing to multiply the production of Lamborghini. Willing to everything. Externally it is a car whose body has managed to break with the aesthetic limitations of an SUV to achieve an aesthetically 100% Lamborghini. The proportions are very well resolved to leave an image that looks sporty, dynamic and relatively light inside what an SUV can afford. The front is aggressive but less sharp than the Bolognese factory has accustomed us due to the greater height of the car, but beyond a few headlights with family, genes draws attention to the line of the roof that decays progressively from its highest point on the front moon to the line on the rear pilots. A spoiler integrated into the roof, a lip on the trunk lid and a large rear diffuser with four integrated exhaust outlets sign the view of the rear where the almost horizontal lights go almost unnoticed. As it has been confirmed for some time, the movement will be offered by a motor of eight cylinders in uve and 4.0 liters with the double turbo that will offer a power of 650 horses and 850 Nm of torque distributed to the four wheels through a box automatic torque converter and a Torsen central differential. 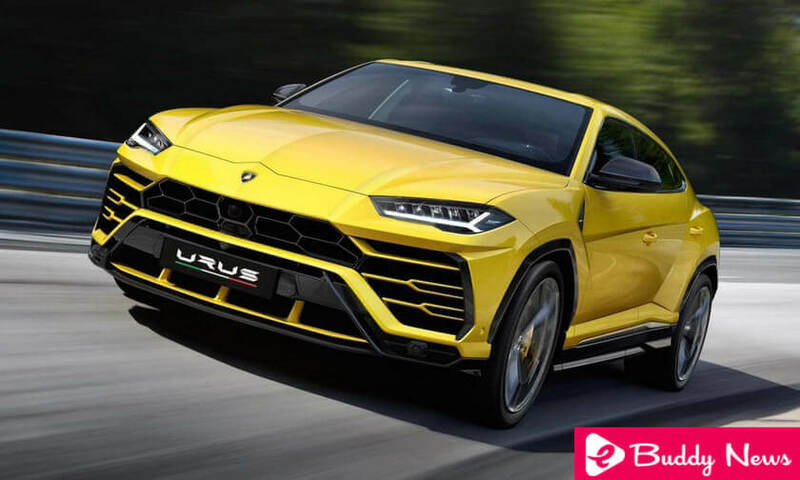 Next year a plug-in hybrid version of the Lamborghini Urus will be released, which will mean a new milestone in Lamborghini with the first electrified engine within the brand and the first step to total electrification, the maximum exponent of which is the brutal Lamborghini Terzo Millenio. To adapt it to its new needs as a vehicle with off-road capabilities, we have worked on a chassis that incorporates four pneumatic dampers that are capable of modifying their behavior independently to maintain performance on any terrain. This adjustable suspension together with the modification in a response of the engine, the ABS and the stability control make up the six different driving modes available at the selector knob in the center console. Strada, Sport, Corsa, Sabbia, Terra, and Neve will be the six programs that each user will be able to choose, three exclusively for asphalt (one for the circuit), and another three for the different conditions to which the Lamborghini Urus can face off the asphalt. The tires that the Lamborghini Urus can equip is another declaration of intentions. The shoes of the current Lamborghini five-door are between 21 and 23 inches, so it becomes the standard car with the largest wheels on the market today. With these numbers on paper Lamborghini ensures that the Urus is able to reach 100 km / h from standing in just 3.6 seconds and reach 200 km / h in 12.8 seconds. The benefits are one of the key points that Lamborghini wanted to highlight, and what if it has achieved because with 305 km / h top speed is the fastest SUV in the world. But not all are numbers, and the Lamborghini Urus incorporates important technological innovations in the brand as a directional rear axle, brake equipment with carbon-ceramic discs, active axle stabilization system or the aforementioned pneumatic suspension are inherited more or less directly from its distant cousin the Porsche Cayenne. Inside this high-flying SUV, there is much Lamborghini language, but there is also room for its four occupants to live a new dimension of luxury without neglecting sportiness. The skin stars in a cabin where the metal and carbon fiber inserts put the distinction. Behind the multifunction sports steering wheel is a fully digital control panel, and on its right, a high-definition color touch screen for the infotainment system and under it the touch controls for air conditioning.